If I were I princess I would be the Princess and the Pea right now. Except I don’t really need a pea to feel all battered. Just existing takes care of that right now. I am 8 months pregnant and I am an absolute mess. I have problems walking, standing, sitting and lying (though lying is better than the rest). Yeah that doesn’t leave a lot of options for comfort. I am pretty sure no prince in their right mind would want me in this shape but then again I don’t really get it why the prince in that story would want someone that sensitive? I really don’t get princess stories at all. What kind message is it sending when the stepmothers get away with letting their step daughters live in dirty rags and boss them around. Or send them to the forest to be killed? None of the dads seem to notice and react. Yeah those stories portray great father images for our daughters. The most disturbing story of all is probably Snow White. A prince that decides he wants to bring her corpse home with him because she is so beautiful. What the hell was his intention? Yuck! And she then marries that guy? The stories we read are already the toned down versions and yet they are horrible. Thankfully the modern day princess fairy tales are getting a little bit better. Sadly one cannot say that the same applies to real life princesses. 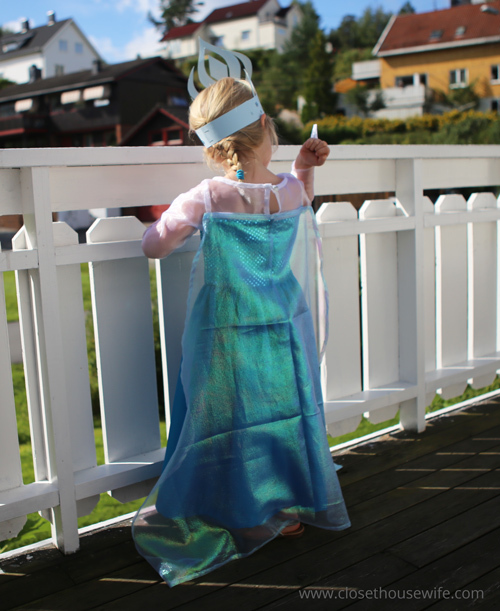 One of the Norwegian princesses uses her princess title to lure gullible people to shell out lots of cash for practices that one would assume were outdated in today’s educated society. Anyways, despite my hate of princesses my life is heavily infiltrated by them. 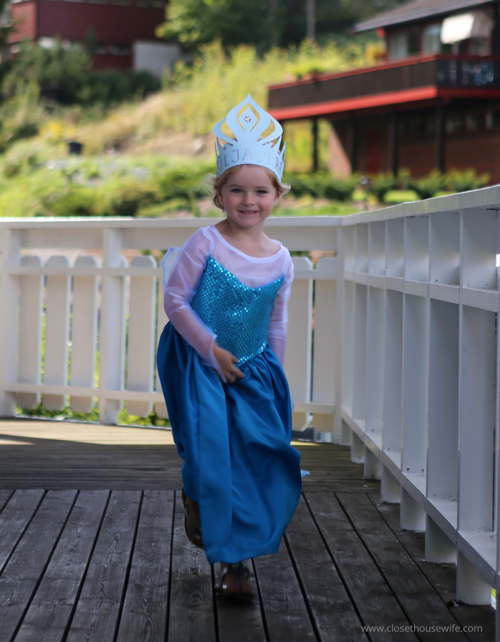 We have been watching a lot of Frozen this summer like most other parents with little girls. 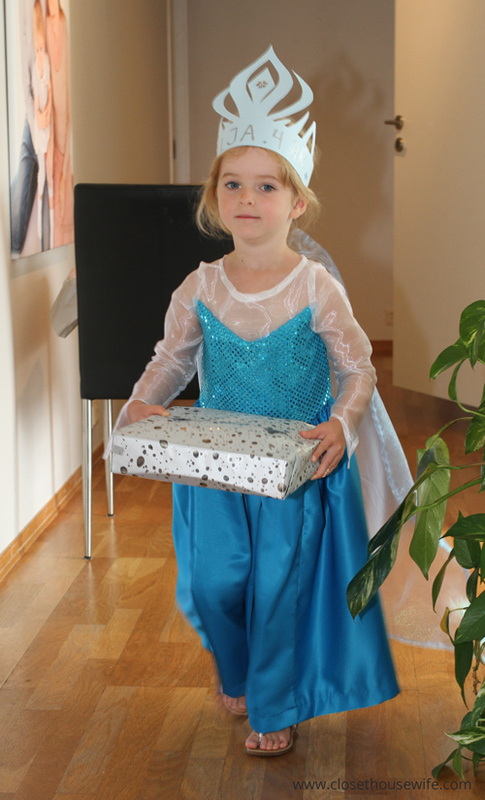 Not the worst fairy tale and I am eternally grateful that blue clothes are now approved and not just pink. 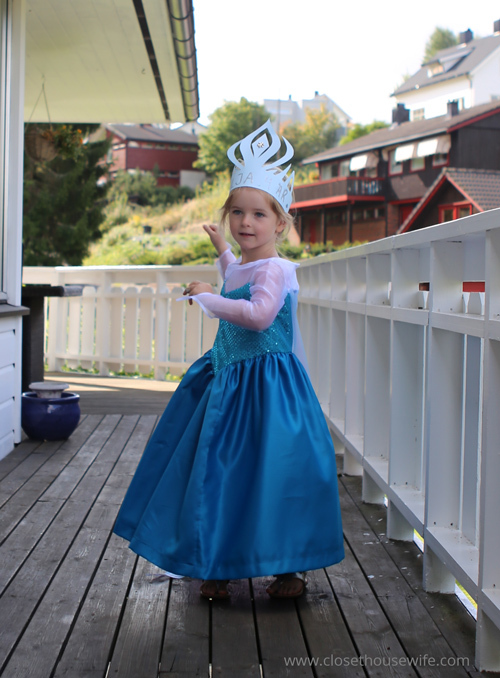 I promised my daughter I would make her an Elsa dress at the beginning of summer and I did finally manage to finish it hours before her birthday. It took me all summer thanks to my exhausting pregnancy. It took me almost equally long to blog about it thanks to me not being able to sit in front of a computer for more than 10 minutes without me experiencing nausea from back pain. A mediumgeek’s worst nightmare. 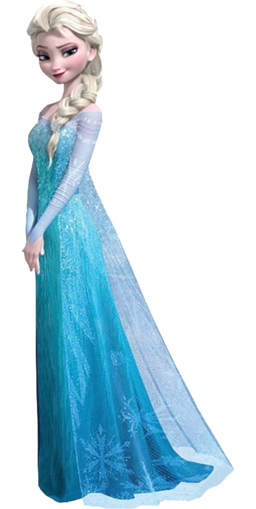 I used the following tutorial to make the dress with some minor alterations. All the fabrics were from Joann. 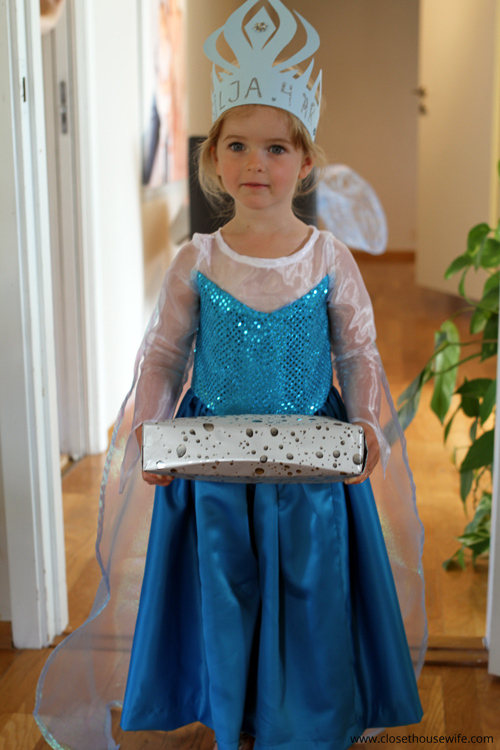 She wore it on her Frozen birthday and was a true little princess. It was worth all the pain that went into making it and I might even get to reap the benefit of it on Halloween. Love the attached cape out of the iridescent fabric — I sure she loves it. And I agree with your tirade against princesses and I’m glad that, with a son, I don’t have to struggle too much with that particular internal battle. Good luck with the rest of your pregnancy — hope you eventually find a comfortable spot to get some relief. Thank you! She does like her dress, wears it to every birthday party 🙂 . I wonder if superheros will bring similar dilemnas to my life now that I am getting a boy. Must admit I know very little about them 🙂 .